The Gibb Report, looks in detail at GTR’s depot capacity and especially the stabling for Thameslink. This is a paragraph, which suggests creating a new depot at Hoo Junction. I recommend a different approach: I think a dedicated GTR Thameslink stabling facility should be built at Hoo Junction, near Gravesend. There is a large former freight yard there, on both sides of the railway, which now stables engineering trains for Network Rail. This should be rationalised and space created for stabling all the North Kent Thameslink Class 700s, in sidings with newly created servicing facilities. The Wikipedia entry for Crossrail has a section entitled To Gravesend And Hoo Junction, where the following is said. 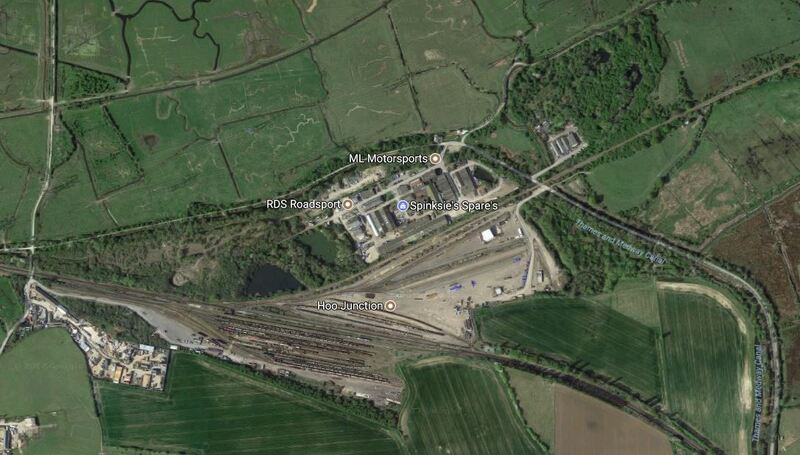 This area around Hoo Junction has also been suggested as a possible depot for Crossrail. In addition, Southeastern are running short of space in Slade Green Depot. This Google Map shows the Hoo Junction area, with the North Kent Line passing through from Gravesend station in the West to Higham station in the South East. There looks to be space for multiple depots with a large number of sidings at Hoo Junction. These pictures show the apace to the North of the North Kent Line. And these show the space to the South. There even used to be a Staff Halt at Hoo Junction. But that’s just the railways. This report on the BBC indicates that the new Lower Thames Crossing will cross North-South between Gravesend and Hoo Junction. Perhaps the developments at Hoo Junction, should incorporate a Park-and-Ride station. This is a good idea and I would go further than Chris Gibbs does in his report, which is mainly into the problems of GTR. Crossrail, the Department of Transport, Kent County Council, Network Rail, Southeastern, Thameslink and all other stakeholders and residents should sit round a large table and agree a common long-term philosophy that is in all their best interests for the future.